In the past, the ability to distinguish odors was one of the most important factors in human survival: our ancestors recognized intruders, hunted game, determined poisonous plants, and more using their smell. Undoubtedly, our dependence on this sense has decreased significantly, but we are now very sensitive to smells emanating from other people or related to the environment. Everyone has their own individual smell and unconscious reaction to the smell often has a much greater impact on our emotions and behavior than we think. Smells are important in our daily lives in terms of comfort and relaxation. Gardeners specially select flowers and trees with a nice scents. We try to strengthen our attractiveness by a perfume; selecting medicines for the treatment of rhinitis or gargling, we pay attention to the smell. Most cooks use fragrant herbs as seasoning as the plants chosen for their flavor and taste, such as ginger, rosemary, thyme, stimulate the secretion of gastric juice. This fact is hardly a coincidence. Similarly, the essential oils extracted from herbs and plants, are applied in aromatherapy not only as calm and relaxation means, but to stimulate the human body. We strongly recommend to have a lot of essential oils at home and choose them according to your mood. Some sort of smell often fits your spirits at the moment, so it can complement and highlight your emotions and state of mind. Get into the habit to take care of yourself in evening at least an hour. You can take a bath with lavender oil. After light a candle or an aroma lamp with incense. Also, perhaps the most convenient and modern way of aromatherapy is home essential oil diffuser, which is enhanced and safer version of the oil burner in high technology. Aromatherapy is associated with relaxation, which is very necessary for us in the modern world. Believe me, all of these actions will lead you to a quiet peaceful state. Your sleep will be strong and long lasting. Lemongrass essential oil widely used in classical and modern aromatherapy is derived from a plant grown in South-East Asia and known as “lemon grass” or “cymbopogon citratus”. Its oil is found a valuable and safe medicine, which has the broadest spectrum of effects. 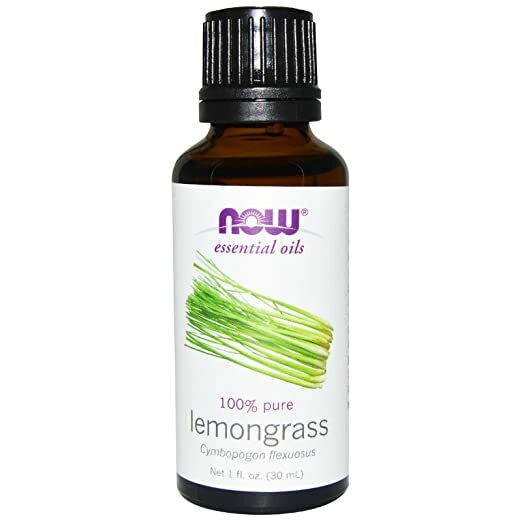 When using lemongrass essential oil in aromatherapy it’s noticeable its soothing and relaxing properties. So, 3-4 drops of lemongrass can be added to the aroma lamp or a diffuser eliminating the feeling of fatigue and loss of vitality. Cumin essential oil is an excellent tool for relaxation, it helps to relieve irritation and fatigue, soothe the nerves. Considering all the useful properties and contraindications of caraway, remember that its uncontrolled use in large quantities may be harmful. The tool should be used in doses, preferably in consultation with a specialist. Since this product is biologically active, high doses have a toxic effect on the body. The aroma of palmarosa essential oil is the perfect companion for those who need to build confidence in their abilities and their capabilities. It brings calm and self-acceptance, but at the same time tunes to an optimistic wave. This is the perfect choice for stress relief, treatment of nervous diseases. Together with easy palmarosa scent it’s easy to get rid of fatigue and anxiety, reconciled with yourself and cope with the severe events and experiences. Rosemary essential oil is the Sun fragrance contributing to the success and strength. The warm scent of rosemary essential oil brings inspiration and stimulates intellectual development protecting against negative impacts. Popular oil has beneficial effects on the mind and body. It refreshes tired muscles, clears the mind and increases concentration. It helps to fight fatigue and refreshes the air. Attention! Not recommended for pregnant women, and persons with hypertension or epilepsy. Chamomile essential oil is one of the most common and well-known “wild” plants, which are actively used in folk and official medicine. Chamomile oil is considered to be one of the best soothing aromatherapy tools that brings relaxation and peace on the physical and emotional level. It perfectly removes irritation, you can quickly cope with anxiety and stress. This is one of the best natural oils for sleep. It helps to cure the insomnia, so the normalization of sleep contributes to a deep rest and recovery. This is just a miracle. Who would thought about it! Just a flavor, but it can influence your mood! The day was gray and dull, and now it is painted in bright colors. Any excessive nervousness disappears, and you are envelopped with a warm, cozy, calming cloud. No need of any pharmacy. Natural essential oils can do much for you. With their help you can easily influence your mood. Scents play a big role in our life. With their help, we can make the fairy tale world full of fantasy of the monotony of everyday life. Providing a positive impact on our physical and mental state, aromas give us a good mood and help to find harmony with the surrounding world.